Define :-Define project goals & customer (internal & external) deliverables. Identify the “Y” to be improved. Define step begins with capturing the voice of customer(VOC) and then next step is preparation of Charter. 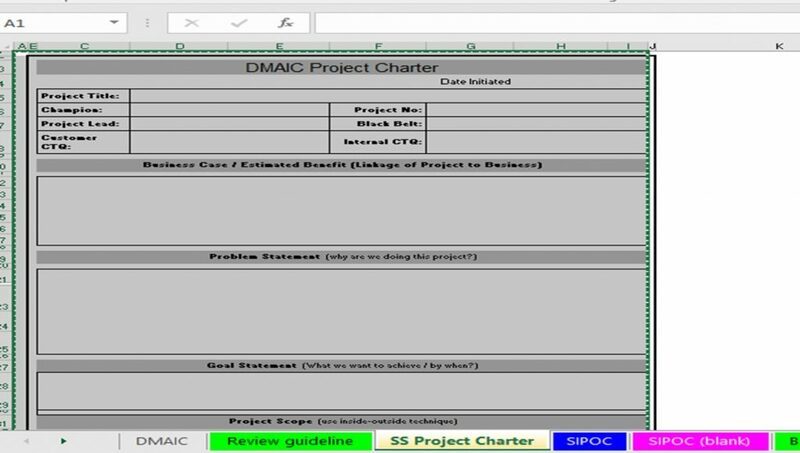 In project charter we define the problem and project goals along with scoping. Along with Charter we also prepare the SIPOC for common understanding of the process. 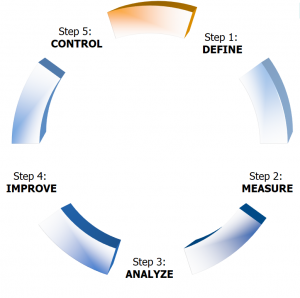 The 2nd step of the Six Sigma problem solving methodology is the Measure step. 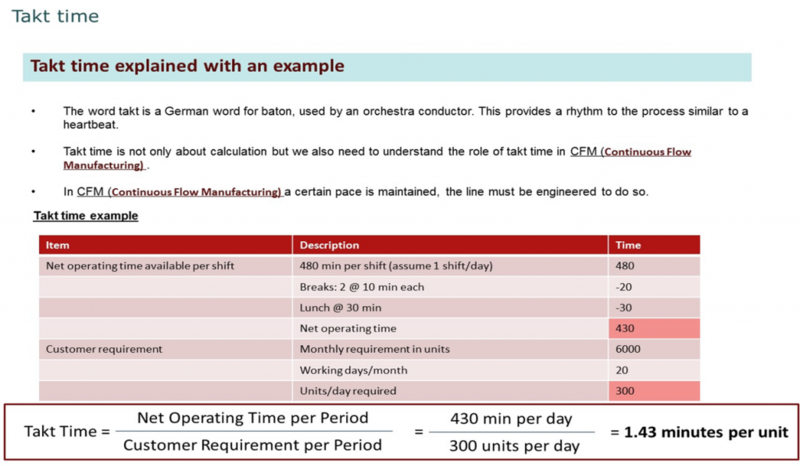 Before collecting data, we need to describe “Operational definitions” of the measurements. An operational definition clarifies What, How and Who is going to collect the data so that the team is in agreement. A process is a set of interrelated resources and activities which transform inputs into outputs with the objective of adding value. The activities relative to any process of importance, should be documented and controlled. This is a very important step in which we brainstorm and do Fishbone analysis. This will help us to identify the probable X’s impacting Y. 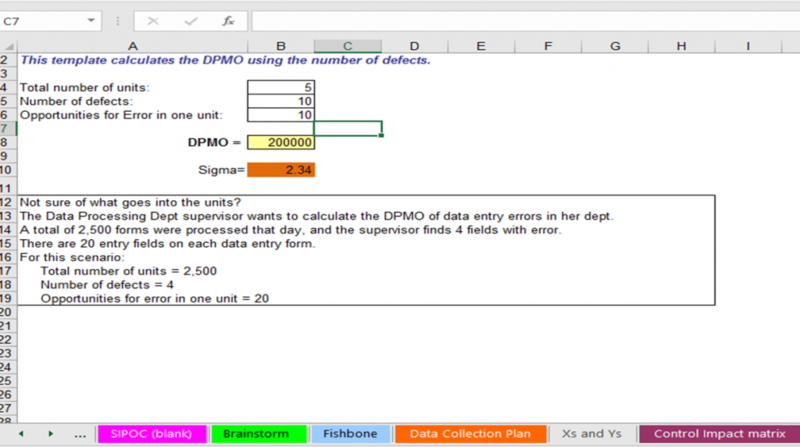 After this step we need to see what data is required to establish the relationship between each X and Y. This forms the foundation of Analyze phase and Hypothesis testing. Total variation is product variation combined with measurement system variation. Measurement system variation is dependent upon accuracy and precision. The calibration of measuring instruments is necessary to maintain accuracy, but does not necessarily increase precision. In order to improve the accuracy and precision of a measurement process, it must have a defined test method and must be statistically stable. Capability is defined as the ability of a process to produce outputs that meet the product /service and/or the customer specifications. 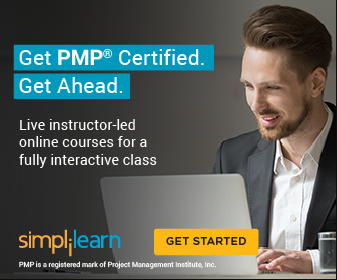 We calculate the Sigma level of the process along with Cp, Cpk for continuous and DPMO for discrete data types. 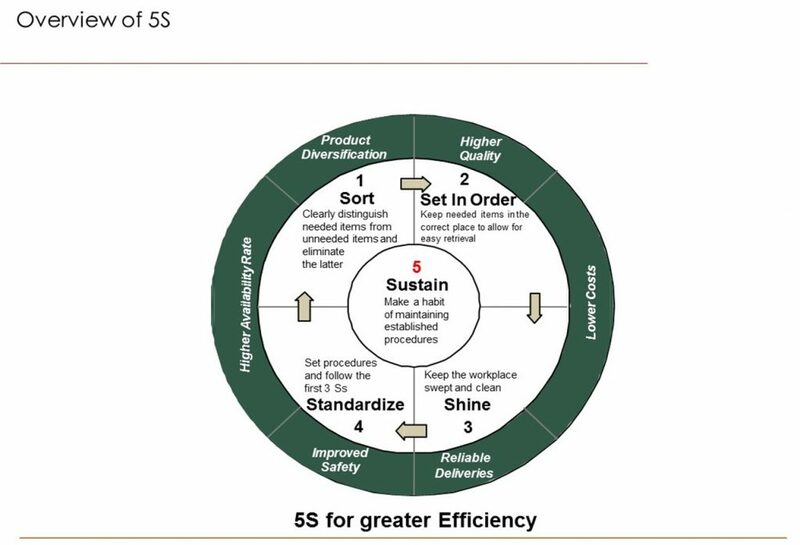 The third and most important step of the Six Sigma problem solving methodology is the Analyze phase. In the Measure phase we listed the probable X’s/causes and also made our plans to collect the relevant data related to each probable X. Now we need to establish the relationship between X’s and Y, post which we also need to prioritize our X’s in terms of their impact on Y and our control over these X’s. In this step we can use tools like Pareto, Fishbone, 5 Whys to list the probable causes. We have to formulate hypothesis for these X’s. Post which we need to collect data for each X. Now we have to formulate Y=f(x), we have to test whether X has any impact on Y or not. 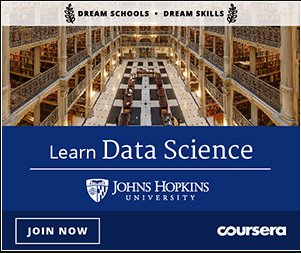 This is done with the help of Hypothesis testing, advanced analytics etc. With this shortlist the X’s which actually have significant impact on Y. Improve phase is the forth phase in Six Sigma methodology, in previous phase we have identified the critical X’s which are impacting Y. In Improve phase we generate solutions for each X, we need to pilot the solution and measure the impact. Once we establish that the solution has significant impact on Y then we can implement the solution in complete process. Now that we have the list of prioritized list of X’s, we generate ideas to mitigate the impact of X’s. One can use tools like Six Thinking Hats, brain storming with subject matter experts. Probable solutions need to be shortlisted, we need to do the cost benefit analysis before doing the pilot. Pilot of a solution needs to be well planned, Design of Experiment (DOE) is one such tool used in doing the pilot. Pilot needs to confirm the improvements before we can do 100% implementation. 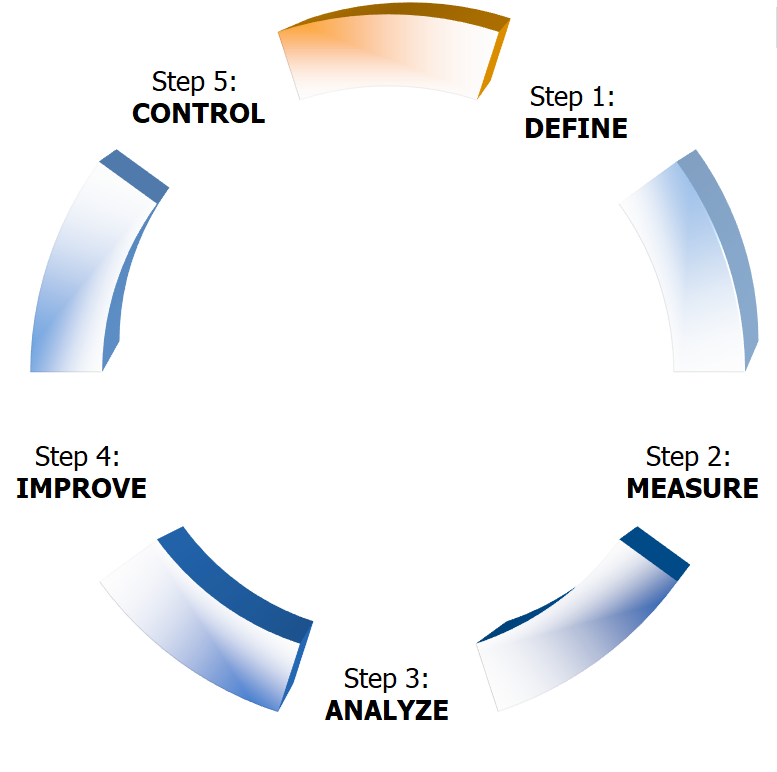 Control phase is the final phase in Six Sigma methodology. 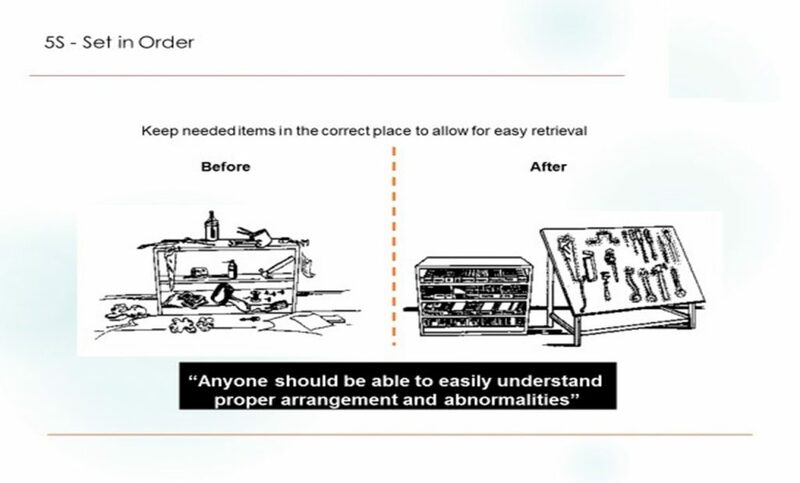 Before reaching Control phase, the team should have finalized the solutions and have shown the improvement in the process. The process has already reached the target in Improve phase but now the team has to set procedures and controls so that the improvement sustains. In the physical world, the law of Entropy explains the gradual loss of order in a system. The same law applies to business processes. The control plan is a hedge against the loss of order and ensures gains are sustainable.